Abstract: A 15 year old boy was referred to direct access physical therapy with a complaint of left tempromandibular joint (TMJ) pain for approximately 3-4 months. Upon examination, a slight loss of range of motion (ROM) upon opening was observed. A slight “C” curve produced upon opening indicated the presence of muscular hypertonus. Upon palpation, the patient was found to have evidence of painful hypertonus in the left masseter and medial pterygoid muscles. Use of a stethoscope over both TMJ’s while opening and closing did not reveal any clicks, thus suggesting the articular disc was in proper position. Inspection of the bite did reveal malalignment and inspection of the teeth revealed evidence of bruxism. Posture was also evaluated and although the patient had a slight forward head posture (FHP), it was not severe. The patient did not have any other musculoskeletal complaints of pain nor any other symptoms such as fatigue or malaise, ruling out diagnoses such as juvenile rheumatoid arthritis. Since the patient had evidence of malocclusion of the teeth and bruxism, it was decided to refer the patient to a dentist specializing in temporomandibular dysfunctions (TMD) for an evaluation. Differential diagnosis provided by the dentist confirmed malocclusion of the teeth but more importantly indicated that airway obstruction producing sleep apnea and sleep bruxism (SB) was the most important causative factor in this patient’s TMD. The patient was referred to an ear-nose and throat physician for removal of his tonsils and adenoids in addition to being referred to an orthodontist. In addition he was provided a night splint to prevent SB until the other recommended procedures were performed. This case highlights the need for physiotherapists to be aware of the mechanisms between airway obstruction and sleep bruxism in screening for causes of TMD especially in the adolescent population. Backround: Disorders of the TMJ affect millions of people around the world, over 30 million in the United States alone, with many of the causative agents unexplained. The commonly used term for TMJ pain and dysfunction is temporomandibular dysfunction (TMD), going beyond reports of pain to encompass all dysfunctions of the masticatory system. TMD occurs more often in females than males usually affecting those between the ages of 20 and 40 years of age. Prevalence of TMD requiring intervention in childhood is thought to be small, increasing with age. Temporomandibular dysfunction can range from mild to severe. Mild TMD usually involves hyperactive painful musculature but intact joint mechanics. Internal derangement of the TMJ, where the articular disc is displaced, will increase the pain associated with TMD.The most common form of internal derangement is anterior disc displacement. Wilkes has classified anterior disc displacement into five stages. The first stage is characterized by slight displacement and clicking but no pain or significant dysfunction. In the earlier stages, the disc is displaced upon opening of the mouth but later relocates accompanied by a clicking or popping sound. In some instances an opening and a closing clicking sound can be heard due to the abnormal disc and condylar motions. If the disc fails to relocate the TMJ will appear to be locked. The last stage of internal derangement of the TMD is characterized by significant disc displacement, deformity of the mandibular condyle, joint crepitus and diminished range of motion and function of the joint. Causative factors associated with the development of TMD are many and varied. Malocclusions of the teeth such as deviations in dental midline ( lining up of the mid-sagittal line of both the maxillary and mandibular arches), crowding (insufficient space for the number of teeth), diastema (overly large spaces between the teeth), crossbite ( a lateral malalignment of the teeth), overbite (how far the top teeth cover the bottom teeth, overjet (the amount of forward angulation of the top teeth) not to mention congenital anomalies of the face and mandible are generally thought to present as risk factors for TMD later in life if not corrected in childhood although some authors challenge this relationship. Trauma to the face or jaw increases the incidence of TMD in males and injuries to the neck, such as whiplash can increase the incidence of TMD in both genders. Concomitant complaints of spinal pain along with TMD complaints have led some to believe that TMD can be a part of chronic pain neurophysiology in some patients. Posture is thought to be a causative factor in the development of TMD to include forward head posture (FHP) and habitual body posture (HBB) during sleep. The jaw is connected to the deep cervical fascia and as FHP becomes more severe, tightening of this fascia retracts the jaw. As the amount of retraction increases, the tendency to mouth breathe occurs along with a functional malocclusion of the mandibular and maxillary arches. This has been found to increase the incidence of TMD. In a study conducted by Hibi and Ueda, their findings suggested that HBB, in this case always sleeping on the same side, may allow the mandibular condyle on that side to displace posteriorly. The chronic posterior position of the condyle thus could contribute to anterior displacement of the articular disc, producing TMD.Another well- known causative factor for TMD is excessive parafunctional activity such as nail biting, tongue thrusting, sucking on the thumb or fingers and clenching and grinding of the teeth otherwise known as bruxism.17 Bruxism can occur during the day (awake bruxism [AB]) or night (sleep bruxism [SB]). Awake bruxism is characterized by more clenching than actual grinding of the teeth and has stronger evidence that it is related to stress. Twenty two to thirty one percent of the population engages in AB and it occurs more frequently in females than males. Sleep bruxism on the other hand involves actual grinding of the teeth as well as clenching, involves 10-16% of the population and its incidence has no gender differences. In the past, causes of SB were thought to be due to malocclusion with the subject grinding their teeth to“remove the occlusal difficulties” Stress was also considered a factor. Sleep bruxism is known to produce loads far in excess of normal conscious loading of the teeth, thus many consider its presence significant when attempting to treat patients with painful TMD. Physiotherapy is often recommended in the treatment of TMD. Historically, patients with TMD have been sent to physiotherapists for treatment of muscular pain, hyperactivity and painful trigger points associated with TMD. Joint mobilizations and assistive stretching have also proved helpful in restoring range of motion to the TMJ. In addition, assessment and treatment of comorbidities such as cervical spine pain has been recommended. However these treatments usually were suggested after a full dental screening. With the advance of direct access physiotherapy and considering the multifactorial causes of TMD, it is important that the physiotherapist remains current regarding research associated with assessment and treatment of TMD. It is the purpose of this case study to illustrate recent advances in identifying airway obstruction as a causative factor in development of TMD, particularly in adolescents. Case Description: The patient was a 15 year old male presenting with his mother who gave consent for evaluation and treatment. He had a 3-4 month insidious onset of left sided TMJ pain. His pain was 0-1/10 at rest and 8/10 while eating or chewing. He also complained of pain on yawning or prolonged talking. He denied any specific mechanism with the pain gradually worsening over the period of about a week or two. He denied experiencing any significant clicking or popping sounds in his jaw upon opening or closing. He denied previous incidences of TMJ pain. Neither he nor his mother was able to report self- awareness of bruxism. He did chew gum occasionally but denied any other abnormal parafunctional activity. He had no history of neck pain or neck trauma. He did have a past history of trauma to the mouth, being hit in the mouth with a plastic sled at age 9, resulting in the breakage of one tooth. He denied any other musculoskeletal pain in any other area of his body. He also denied any feelings of illness, malaise or fatigue. Examination: On visual inspection, the patient had a mild forward head posture. Bilateral hypertrophy of the masseter muscles was observed but no other significant facial deformity. Dental midline was abnormal with a deviation of the mandible to the right. Crowding of the teeth was also observed along with mild dental attrition to the upper teeth, consistent with bruxism. Palpation of the left masseter and medial pterygoid muscle produced pain with prolonged pressure in the left masseter muscle producing the same pain the patient came in complaining of.Range of motion (ROM) examination revealed a mild loss of full opening with a slight “C” curve deviation denoting muscle hypertonus.21 On overpressure of end range opening, left sided pain was reproduced. Range of motion was within normal limits for protrusion and retraction. Right sided lateral deviation was painful with overpressure and slightly hypermobile compared to left sided deviation. Auditory examination of both joints with a stethoscope during opening and closing did not reveal any clicks or pops. Clinical Impression: At the conclusion of this examination, the major source of pain was determined to be primarily the left masseter muscle, which was also thought to be restricting full end range opening. At this time there did not appear to be any internal derangement due to the absence of clicking or popping upon jaw motions. Since there was a difference in lateral deviation ROM he could also be developing either hypomobility on the right or hypermobility of the left or a combination of the two. The patient denied any cervical spine symptoms, past or present, thus a full cervical spine examination was not performed. Forward head posture could be a mild contributor but did not fully explain this insidious onset of TMD. Intervention : Prolonged ischemic compression was performed to the left masseter muscle for 90 seconds followed by gentle assistive stretching of both masseter muscles. The patient was taught how to do the muscle release technique as needed and was also taught a home exercise program of stretching. The FHP was explained to him and some postural exercises were given for the home exercise program. Since the patient had evidence of malocclusion and bruxism, with no other identifiable causative factor other than the facial injury in the past, the patient was also referred to a dentist specializing in TMD within the community. The patient saw the dentist approximately 2 weeks following the initial physical therapy appointment. At that time his pain was lessened by the interventions performed in physiotherapy and the home program. 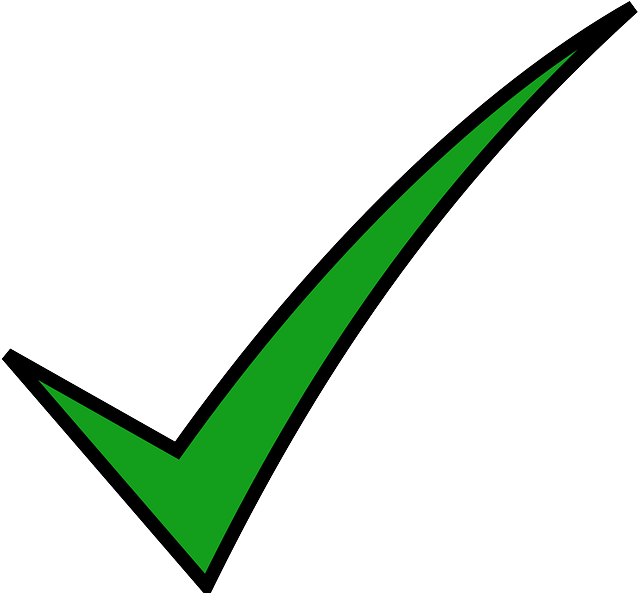 The dentist confirmed malocclusion and agreed to refer the patient to an orthodontist. However, the dentist also asked questions related to the quality of the patients sleep. 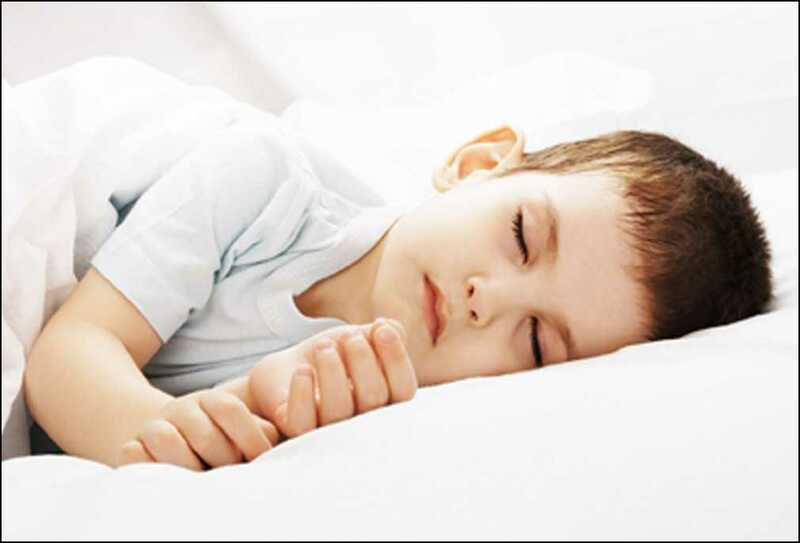 The patient’s mother reported that the boys sleep patterns could not really be classified as normal. He was a habitual early riser regardless of when he went to sleep, thus not always attaining an average of 8-12 hours per night. She reported that he woke up 1-2 times per night to “use the bathroom” according to the patient. He was often sluggish and tired in the morning but claimed he couldn’t go back to sleep. In the afternoon he was often tired and had difficulty concentrating with regards to school work. If the patient rode in a car in the afternoon he would inevitably fall asleep. It was also revealed during this line of questioning that the child had been tested for attention deficit disorder due to this lack of concentration but tested normal. With this history suggesting some type of sleep disorder, the dentist laid the patient in a recumbent position and examined his tonsils. In this position it was easy to see the reduction of the airway due to the enlarged tonsils. (Fig. 1) The dentist also had the patient perform a rapid unilateral “sniff” while holding the other nostril closed. The results of this test revealed an incompetent airway bilaterally, ie the patient did not have free movement of air in either nostril. The dentist suggested this indicated enlarged adenoids. The final differential diagnosis given by the TMD dental specialist was sleep apnea resulting in sleep bruxism which was producing pain and inflammation in the masseter muscle. There was not a clear explanation as to why the left side was symptomatic versus the right side. As a result of this diagnosis, the patient was referred to an ear-nose-throat specialist with the recommendation of a tonsillectomy and adenoidectomy. He was also fitted with a night splint to prevent SB in the meantime and assist in decreasing the current left TMD. He was encouraged to continue his physiotherapy interventions as well. Discussion: Prior to this referral, the treating physiotherapist was unaware that excessive SB can be caused by an airway obstruction or sleep apnea and that, in general, it is no longer thought that SB is caused primarily by malocclusion. It is widely known that during sleep, relaxation of the tongue and the soft palate along with jaw retraction, if in a supine position, may cause collapse of the airway in some persons. Obstruction of the airway triggers the body to work harder to obtain oxygen. When the body puts forth additional effort to obtain oxygen during sleep, microarousals (MA) occur in which the brain wakes up while the person is still asleep. This is referred to in the literature as respiratory effort related arousal.Microarousals are associated with contraction of the masticatory muscles. Rhythmic masticatory muscle activity (RMMA) is defined as repetitive jaw muscle contractions, regardless of the presence of teeth contact. Rhythmic masticatory muscle activity is observed during sleep in approximately 60 percent of the normal population. Generally, 80 percent of these RMMA events occur during light, nonrapid eye movement (NREM) sleep although RMMA occasionally occurs in deep NREM sleep and REM sleep. In the normal population, frequency of RMMA’s are about 1-2 times per hour. In individuals with sleep bruxism, the average becomes 15-20 times per hour or more. Furthermore, in the normal population, RMMA is usually associated with just clenching of the teeth whereas the SB patients RMMA actually produces grinding of the teeth. Another important factor regarding RMMA is that it seems to be triggered by tachycardia of the heart. As the brain experiences MA’s, the body is working harder to obtain oxygen producing cardiac tachycardia. A study by Lavinge et al18 found that SB is the mechanism by which the brain attempts to regulate the tachycardia. In their study, four minutes prior to RMMA a rise in sympathetic cardiac activity was observed. The amplitude and frequency of respiration increased and were associated with the increase of autonomic sympathetic activity. Next, a rise in EEG activity was seen four seconds prior to the RMMA. Tachycardia was then observed one heartbeat prior to the RMMA and one heartbeat later, an RMMA episode was observed, with or without tooth contact. The RMMA assists in controlling tachycardia because contraction of the muscles of mastication will activate the trigeminal cardiac reflex (TCR). The TCR is a physiological response by the nervous system to lower the heart rate under challenging situations and is initiated upon stimulation of the trigeminal nerve. The mandibular branch of the trigeminal nerve provides sensory innervation to the lower third of the face and tongue, the floor of the mouth and the jaw area. Its motor root innervates all four muscles of mastication along with the mylohyoid, anterior belly of digastric, tensor muscle of the tympanic membranes and the tensor muscle of valum palatinum (soft palate). According to Arasho et al. the proposed mechanism for the TCR occurs when the “sensory nerve endings of the trigeminal nucleus sends signals via the Gasserian ganglion to the sensory nucleus of the trigeminal nerve, forming the afferent pathway of the reflex arc. The afferent stimuli move through the vagus nerve output, proceeding through the vagus nerve via efferents to the cardiovascular system”. Thus, the TCR is a physiological response to lower the heart rate under challenging situations. Understanding of the TCR has been important for clinicians performing ocular and dental surgery as if the TCR is over activated, the resultant bradycardia can lead to a significant loss of blood pressure resulting in syncope and in severe cases, cessation of the heart. A study by DiFrancescoa et al appears to confirm the work of Lavinge at al and the relationship between SB and sleep apnea. In this prospective study, 69 children (33 males and 36 females) from 2-12 years of age were evaluated both pre and post adenotonsillectomy. The incidence of sleep bruxism was determined based upon a questionnaire filled out by the parents. Questions such as mouth breathing and snoring seemed to be the major determinants along with an examination of the teeth. It was determined prior to surgery that approximately 50% of the subjects had evidence of sleep bruxism and 61% of the subjects presented with malocclusion of the teeth. Three months after the adenotonsillectomy the subjects were re-examined. At that time only 11% had evidence of sleep bruxism while malocclusion statistics were exactly the same. The authors concluded that the MA’s experienced by the sleep apnea caused by enlarged tonsils and adenoids was a major causative factor in the production of SB in children. Another study by Okada et al also agreed with MA’s stimulating RMMA and activating the TCR. They observed that not only does the contraction of the muscles of mastication stimulate the TCR but also the mechanoreceptors in the periodontal tissues that surround the teeth. Their findings help explain why the grinding activity associated with SB rather than AB may occur during RMMA associated with sleep apnea. A study performed by Kato et al found that even experimentally induced MA’s produced teeth contact in more than 80% of the trials performed on SB patients. Conclusion: As a result of the current research regarding sleep apnea serving as a causative factor in SB, physiotherapists should start screening for sleep apnea and airway obstruction in patients presenting with TMD and evidence of bruxism, especially children and adolescents. Since snoring and mouth breathing are seemingly “common”, most parents don’t realize that these may be signs of sleep apnea. Other symptoms of sleep apnea are routinely not sleeping the recommended amount (8-12 hours for children), difficulty “waking up” in the morning, daytime sleepiness especially in the afternoon, unexplainable moodiness and an inability to concentrate especially in the afternoon. As indicated by this case study, these symptoms can often be mistaken for attention deficit disorder.Unresolved sleep apnea can produce further deterioration of the TMD over time. In a study by Nagamatsu-Sakaguchi, et al, 195 adolescents in the first year of high school were examined. They found that severe SB consisting of 125 RMMA events per night was highly related to the presence of a TMJ clicking in those subjects. As previously stated, clicking in the TMJ represents internal derangement of the disc which may lead to progressive deterioration of the joint over time. Furthermore sleep apnea in and of itself is related to significant health risks such as hypertension, obesity, diabetes, depression, cognitive defects and behavioral problems if left untreated. Do you have pain in your temples, face, TMJ or jaws once a week or more? Do you have pain when you open your mouth wide or chew once a week or more? These two questions were found to have a kappa value for test-retest validity of .83 and a sensitivity of .90 and specificity of .93 on the same day. For assessments made 2-3 weeks apart the sensitivity was .96 and specificity was .83.Creating a questionnaire with these questions along with questions related to sleep apnea symptoms could provide significant information for the physiotherapist in assessing and treating TMD patients in the future. Examination of the throat with the patient in the supine position will also give the physiotherapist a glimpse of the size of the tonsils and possible airway concerns. Performance of the unilateral sniff test may also give some information regarding the adenoids. If the patient has evidence of TMD, sleep apnea and bruxism it is highly recommended they be referred to an ear-nose-throat specialist, along with a dentist specializing in TMD, for further evaluation.